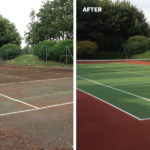 For tennis court maintenance and problem diagnosis book a free site survey today! 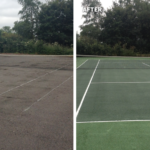 Tennis courts are a major asset, which is why it is important to keep them looking good and performing well. 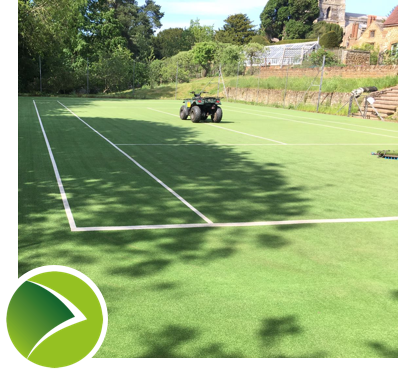 Whether you have a synthetic or a hard tennis court, whether you are a club or a private individual, we can help you maximise the life of your court, improve its play quality and enhance its looks. 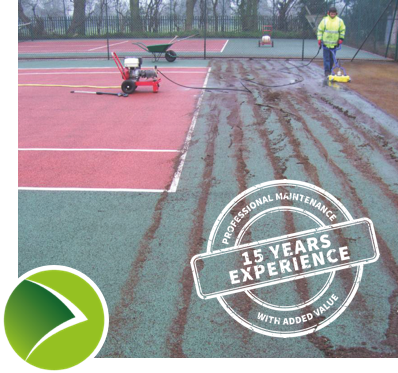 We have over 15 years experience in the maintenance and refurbishment of hard and synthetic tennis courts. 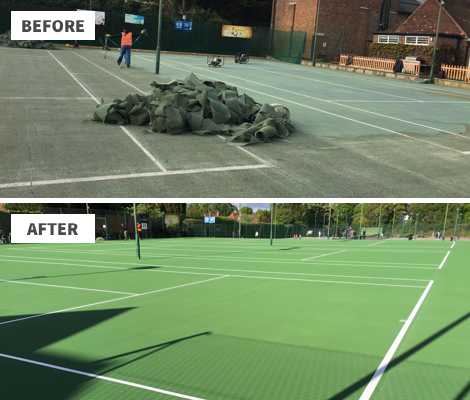 By making a small investment into the maintenance of your court, you can be sure that the enjoyment you get from your court/s will continue for years to come. 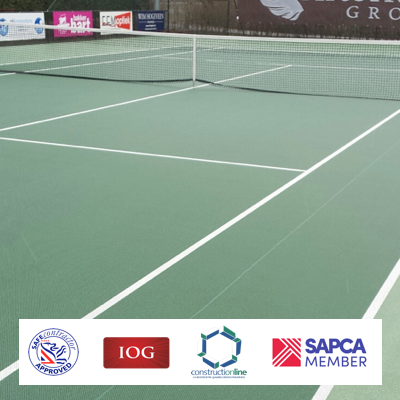 With over 15 years in the industry, we have teams that know the ins and outs of effective tennis court maintenance for hard tennis courts, porous Kushion Kourts, SmashCourts, synthetic tennis courts, synthetic carpet overlays and grey green courts. 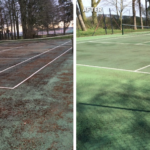 A different array of problems can arise depending on which type of court you have, and these range from moss and algae contamination and weeds to compromised drainage, pile collapse and seam and inlaid line movement. 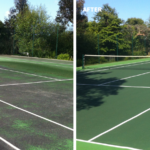 With such a multitude of potential issues, quickly diagnosing and dealing with them is the best way to offer proper tennis court maintenance and allow you to get the most out of your courts. With so many years in the business, we pride ourselves on quickly diagnosing any issues and then getting to work to immediately stop and fix them. 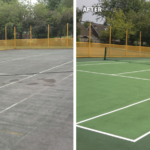 We understand that the most important thing for you is that your court is fixed and ready to be used in the fastest turnaround possible, which is why we don’t waste time and instead get things solved as soon as we can. 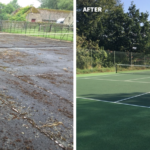 For those inexperienced with the issues of effective tennis court maintenance, it is hard to know whether you do have a genuine issue that needs fixing, or whether it is something that you can mend on your own. For this reason, we offer a 100% free site survey to anyone who thinks they may need our services. A lot of the time we may not be needed and that is completely fine; but to be completely sure, you can book this survey today using the form on our contact page and we can diagnose any potential issues before they become a serious problem.